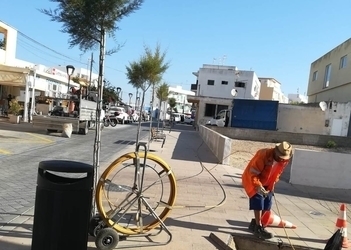 The Formentera Council's department of new technologies reports that as of December 26, residents in the centre of Sant Ferran have had the option to request connection to the fibre optic network. Likewise, neighbours across most of la Savina's urban centre have been able to request the operation since early December. The two changes represent the latest advances in the rollout of Formentera's fibre optic network, a project first launched in 2017 and overseen by private firms Telefónica and Teleco with support from the Formentera Council. In April 2018 Sant Francesc became the first urban area on the island to undergo the upgrades, with downtown es Pujols and the industrial park's connections coming later. Other parts of the island near urban areas have also been hooked up to the network. 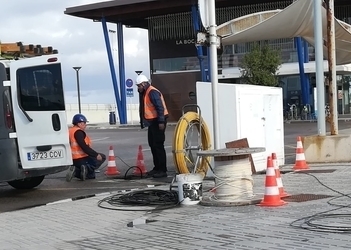 Similar operations in the works in ses Bardetes, es Caló, la Mola and es Ca Marí mean every one of the island's urban hubs will soon boast fibre optic connections. Other spots included in the plans are the vicinity of the hospital and some of es Cap de Barbaria. “Operations are set to continue for two years”, explained department head Rafael González, who noted “the Council's goal is to have connections everywhere traditional phone lines have been available till now”. González said the plan “is about responding to longstanding calls to put Formentera in the lead as far as telecom is concerned”. To find out if fibre optic connections are available at their homes, islanders can telephone 1004. 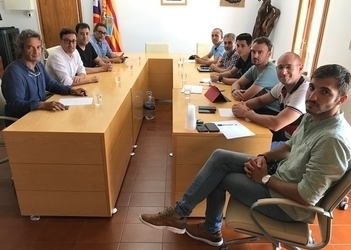 The Formentera Council officials, together with representatives of Telefónica and Teleco, the company responsible for equipping the island for fibre optic internet, met this week to coordinate the work teams that will drive the rollout of Formentera's fibre optic network. The gathering, attended by CiF new technologies secretary Rafael González as well as other Council staff and spokepeople from Telefónica and Teleco, was an opportunity for the officials to review the current state of local operations. Today, 215 businesses and individuals have signed up for the service. The network has already been mounted in Sant Francesc, the island's industrial park and es Pujols, and efforts are under way to extend the service to la Savina and Sant Ferran by October. González applaued Telefónica's initiative in underwriting the rollout of fibre optic, “which has made high-speed internet a reality today in 215 homes and businesses”. He also pointed up the collaboration between the local administration and Telefónica and Teleco as crucial to the project's“seamless execution”. Administration officials raised the question of setting up a local point of sale and information kiosk, as well as precisions regarding the efforts under way to put an end to the temporary cuts that have dogged the service in the past. The issue of safeguards for the underwater cable in Cala Saona was also raised. Telefónica reps made note of the questions and, with regard to the cable, said a signalling system had already been installed to help prevent breakage. CiF Office of New Technologies chief Rafael González has announced the successful completion of the administration's bid to take its directory of services paperless. The project dates back to the final quarter of 2016, when the related applications were first acquired and installed by the Council. The process of going digital got under way January 1 and concluded August 31. According to the councillor, the overhaul will mean that “the same formalities and requests are going to become significantly easier”. “Two years ago, we offered 15 of our services online,” explained González, “the rest required an in-person visit”. Now, he says, absolutely all of them—some one hundred—can be done online. To date this year 30,727 administrative formalities have been carried out on the web. Some of the most popular are proof of residency/travel certificates (16,608), renewals of a la Savina parking pass (3,026), invoice submissions (2,428), fishing permits (245), summer school registrations (178), early enrolment for students of the music school (118), small construction permit requests (108). González called the effort to digitalise formerly paper-based procedures “an incredible opportunity for us to improve our resident services and response time”. The councillor reminded residents of the app, Línea Verde, that lets people easily notify the Council of black spots around the island. The Formentera Council's department of new technologies reports that operations to equip the town of Sant Ferran with a fibre optic network began today. With the service's rollout already a reality in Sant Francesc and surrounding neighbourhoods, crews are turning their attention to Sant Ferran. In roughly three months' time, area residents will be able to contract the service just like their neighbours in Sant Francesc. In the installation operators are using piping that was prepared during roads upgrades this winter. New technologies secretary Rafael González gave thanks to Telefónica for their efforts bringing fibre optic to Formentera. 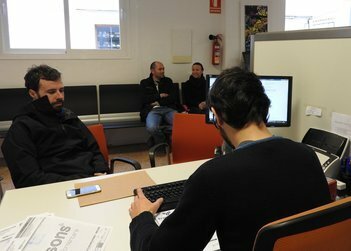 The information technologies arm of the Formentera Council has announced that from today, Monday January 16, e-certificates from the Royal Mint of Spain can be processed through the Citizen's Information Office (OAC). 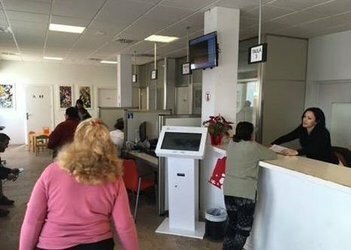 Although formerly processed at the Formentera branch of the Regional tax agency, Agència Tributària de les Illes Balears, local service was suspended in January 2015 and since then islanders have been forced to travel to Eivissa to process such requests. That drove the Council's decision to accredit both OAC and the civil registry to grant e-certificates locally.